Lake Bratan isn’t far from Lake Bedugul. There is Pula Urun Danu at the north direction. Very beauty lake, completed with sky-water sports. Lake Bratan is located next to Mount Baratan and Mount Catur. It is the second largest lake in Bali. 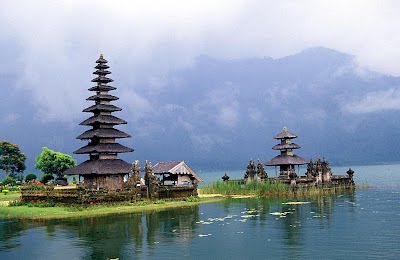 The important temple of Pura Ulun Danu Solemnly guards the lake. The resort area of Bedugul offers excellent views of the lake, as well as a number of activities such as parasailing, swimming, etc.